Great article in the WSJ. Mr. Henry can't quite put his finger on what it is about New York that he finds so seductive. Part of it is the sports scene—he is a rare example of someone who can explain third downs, double plays, pick and rolls, and the offsides rule, all in French. He expects to become a fixture at Madison Square Garden, where he has friends on the court and courtside. Spike Lee, practically the mayor of the Garden's sideline, was a devout Arsenal fan during the Henry era. 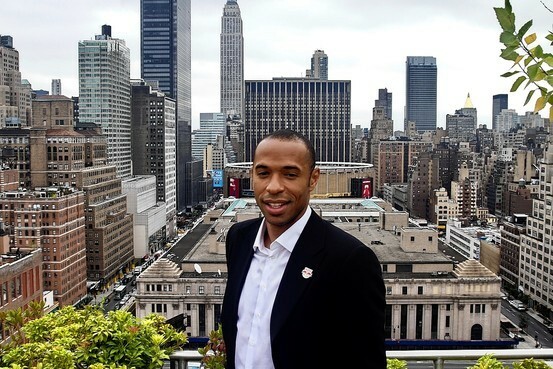 And the Knicks' new French signing, Ronny Turiaf, numbers among Mr. Henry's closest friends—he even attended his introductory news conference at Red Bull Arena, in Harrison, N.J., towering above the crowd of reporters to snap pictures of his buddy. « Pétanque in New York City.